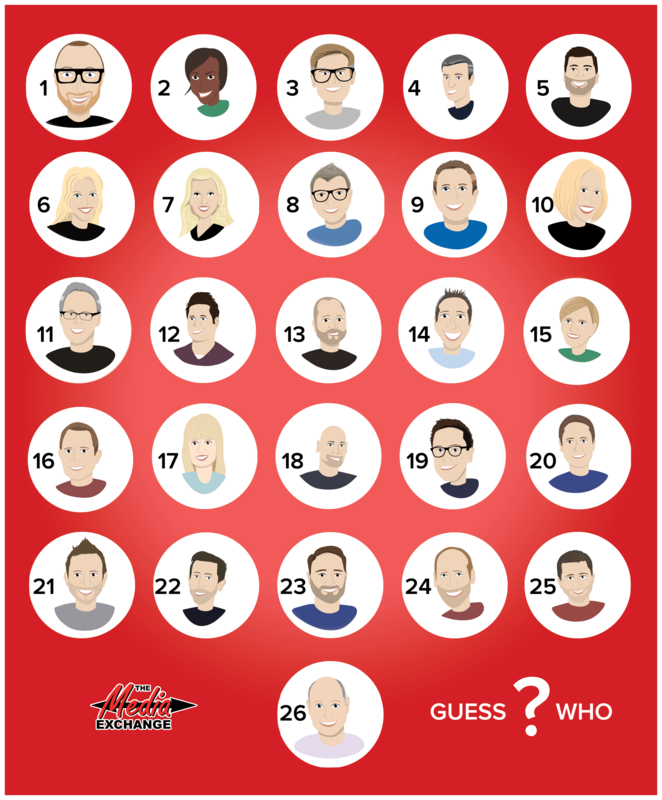 To celebrate 25 years of The Media Exchange, we have created avatars of some of the most influential people within the media industry and we’re giving you the chance of winning £150+ just for a game of Guess Who! Take a look at the avatars in the graphics below. Try to guess as many of our industry’s famous faces as you can. The person who guesses the most faces wins £150! (If more than one person guesses an equal amount we’ll enter you into a draw). BONUS! If you can guess ALL of the faces in our second graphic, you’ll enter a draw to win another £75. The promoter is: The Media Exchange Ltd company no 2837987 whose registered office is at Thaives First Floor Thavies Inn House, 3-4 Holborn Circus, London, EC1N 2HA. The competition is open to residents of the United Kingdom except employees of The Media Exchange Ltd and their close relatives and anyone otherwise connected with the organisation or judging of the competition. The competition starts on the 20th of September and closes at 12AM on the 4th of October. After this date the no further entries to the competition will be permitted. 1) The promoter reserves the right to cancel or amend the competition and these terms and conditions without notice in the event of a catastrophe, war, civil or military disturbance, act of God or any actual or anticipated breach of any applicable law or regulation or any other event outside of the promoter’s control. Any changes to the competition will be notified to entrants as soon as possible by the promoter. 2)The promoter is not responsible for inaccurate prize details supplied to any entrant by any third party connected with this competition. 4) Winners will be chosen at random from a draw from all entries received and verified by Promoter by an independent adjudicator or panel of judges appointed by the Promoter. 5)The winner will be notified by email and/or DM on Twitter/Facebook and/or letter within 28 days of the closing date. If the winner cannot be contacted or do not claim the prize within 14 days of notification, we reserve the right to withdraw the prize from the winner and pick a replacement winner. 6)The promoter will notify the winner when and where the prize can be collected / is delivered. 7)The promoter’s decision in respect of all matters to do with the competition will be final and no correspondence will be entered into. 8) By entering this competition, an entrant is indicating his/her agreement to be bound by these terms and conditions. 9)The competition and these terms and conditions will be governed by [English] law and any disputes will be subject to the exclusive jurisdiction of the courts of [England]. 10) The winner agrees to the use of his/her name and image in any publicity material, as well as their entry. Any personal data relating to the winner or any other entrants will be used solely in accordance with current [UK] data protection legislation and will not be disclosed to a third party without the entrant’s prior consent. 12) Entry into the competition will be deemed as acceptance of these terms and conditions.